Safe working load up to 25t. Eye / Eye; Eye / Jaw; Jaw / Jaw. 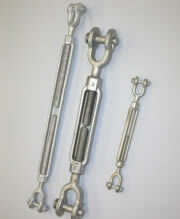 Stainless Steel Turnbuckles and Rigging Screws. 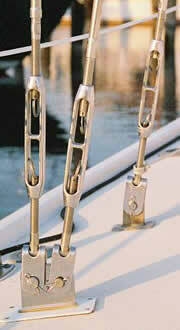 We supply many makes of Rigging Screw and can repair, service and test all makes in our workshop.